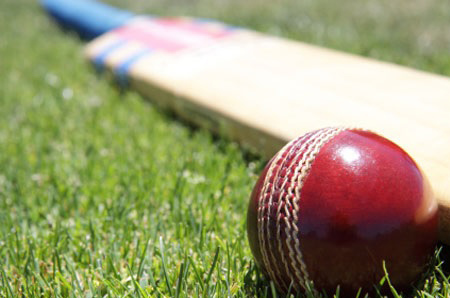 Spalding Town 2nd took the derby spoils as they beat depleted Moulton Harrox by 52 runs at the Memorial Field on Saturday. Ten-man Moulton impressed with the ball and bowled out Town for 183 with John Barnett taking five wickets – but a superb 85 from skipper Matt Gill gave the hosts a fighting chance of victory. That knock proved key, with Harrox only able to make 131 in reply – Simon Juckes top scoring with 48. Harrox started the South Lincs and Border League Division One clash well after Town elected to bat first, with Simon Juckes (2-16) bowling both openers. He snared Peter Cook (16) and brother Jamie Juckes (13), which brought Gill and Harry DeCamps (34) together. Skipper Gill put on a real show, smashing 11 fours and two sixes in his 85, while DeCamps helped himself to five boundaries before falling to Carl Lamming (2-72). Although Gill was a mainstay, wickets tumbled around him as Jay White (4), Carl Andrews (8), Eddie Seymour (5), Spyke Stainton (4), Neo Timothy (5) and Tom Moxon (0) all failing to make double figures. The skipper was eventually out 15 runs shy of a century, clean bowled by the excellent Barnett (5-24). Moulton lost wickets cheaply at the top of their innings, with Eddie Seymour (2-30) picking up both Louis Greetham (2) and Jake Morton (8) LBW and Sinot Thomas (1-33) getting rid of Karl Hibbert (5). Opener Clive Bayston (24) did hit three fours before falling to Jamie Juckes (3-26), before Jack Barnett (24) and Simon Juckes (48) set about mounting Moulton’s bid for an unlikely victory. The latter impressed with eight fours and a six, but Moulton’s hopes ended when DeCamps (2-35) dismissed him and the tail collapsed. The victory sees Town edge away from the bottom two, while Harrox fall to fifth. Spalding have no game on Saturday, while Moulton visit Deeping 2nd (1pm).